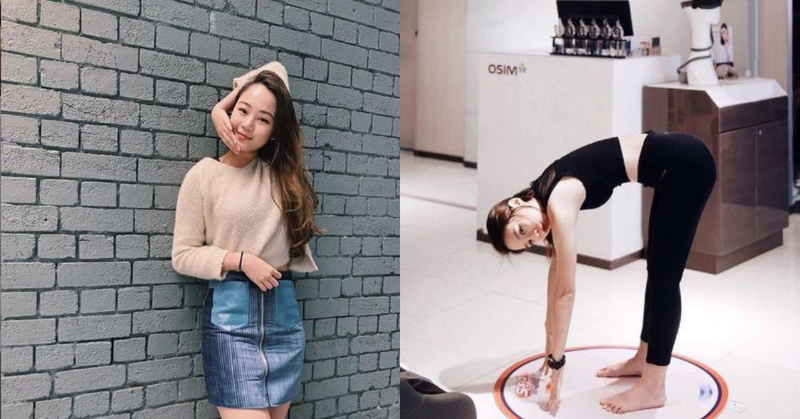 So, we wrote about the OSIM Spinal Challenge here not too long ago and true enough, this simple exercise took over the office and it got us stretching and reaching as far as we could. While some of us is as flexible as a rubber band (good for you, friend! ), a handful of us simply couldn’t reach down to the ground without feeling a pull behind our back. Truth to be told, it got us worried a little because as we dig deeper, our spine is pretty much the backbone (pun intended) that holds us together; it gives us structure, protects our soft parts, and keeps us upright. Think of our spine as the structure of a house. If there’s problem with the structure of your house, it’s probably not the best idea to continue living there. Same goes to your spine. The good news is that you can always buy a new house that has better structure. Bad spine? This is something that you will only wish upon your worst enemy. Which leads us to this burning question- why do we spend so much time and money to beautify our face, and not our spine? Truth is, there simply isn’t enough awareness and education especially in Malaysia that highlight about the importance of spinal health- food that helps to strengthen our bone, exercises which is beneficial in strengthening our core muscles, or even machines like those that can be found at OSIM that can actually help to improve our spinal health. For instance, OSIM’s uCozy 3D can be used for not only your back, but also your neck, shoulder, thighs and calves! If you’re looking for something that is value for money, uCozy 3D is one of the best choices out of the bunch. If you’re feeling a little luxury, you definitely want to give OSIM’s uDivine Mini a shot. Its dual massage function and extensive massage coverage allows pampering start from the neck down to the thighs, extending the common massage area for greater relaxation. Long story short, OSIM has something for everyone who wants to prevent their spine health from spiraling out of control! The next time you find yourself slouching over, remember Quasimodo from The Hunchback of Notre Dame. Not a pleasant sight to behold, but that is essentially you in the long run if you continue to neglect your spinal health (even calcium can’t help you). Perhaps our moms were right whenever they nagged us just so that we can sit and stand up straight. Poor posture is often associated with a string of health problem, not to mention that it actually reflects your outlook on the world, according to physical therapist Christopher Cousins. In other words, if you don’t take care of your spine, you’re doomed. To those who spend hours slaving in front of the computer, there’s always a way to prevent your back from stiffening due to the lack of physical movement. For instance, you can always ask your boss to invest in a good office chair. If you have the financial means, you might want to add on an OSIM uJolly Back Massager. Its V-Grip technology gives you a precise and human-like massage on your shoulders and spine area. In other words, it eases sore back from prolonged sitting. A true, endless satisfying massage pleasure! Available in 2 colors, the OSIM uJolly Back Massager retails at RM 1,488.00 (0% installment available). It is worthy of every dime spent because you can break-even your investment after 10 massages. Quick math involved, but you get the drift 🙂 The good news is that OSIM is currently running in-store promotions for uJolly Back Massager, which means you get to save more! Who doesn’t love a good deal? Before we forget, have you seen their uLove 2 Massage Chair? Comes in 5 stunning colours, it makes the perfect Parents’ Day gift. Dubbed as “the epitome of massage indulgence and well-being”, our folks definitely deserve to experience the luxurious 4-Hand Massage that can give them double the pleasure and satisfaction. Frankly, most of us are busy building our career now, so perhaps a gift in the form of uLove 2 Massage Chair can make them feel our love and presence, even when we are away. With a 0% installment plan made available for all customers, you only need to fork out RM 365.00 per month only. Even Andy Lau will approve this please! So, don’t wait till it’s too late to love your spine! You only have one anyways. West Malaysians, if you’re heading to Kuching from 17th – 28th April 2019, do remember to pop by and experience this exquisite treatment from OSIM. Header image from here and here. Whoa, These Japanese Cheesetarts Are HUGE!